Ice floes and ice bergs make their way out to sea from after breaking off of the Jakobshavn Isbræ glacier. The glacier, near Ilulissat, Greenland is the most productive glacier in the northern hemisphere. 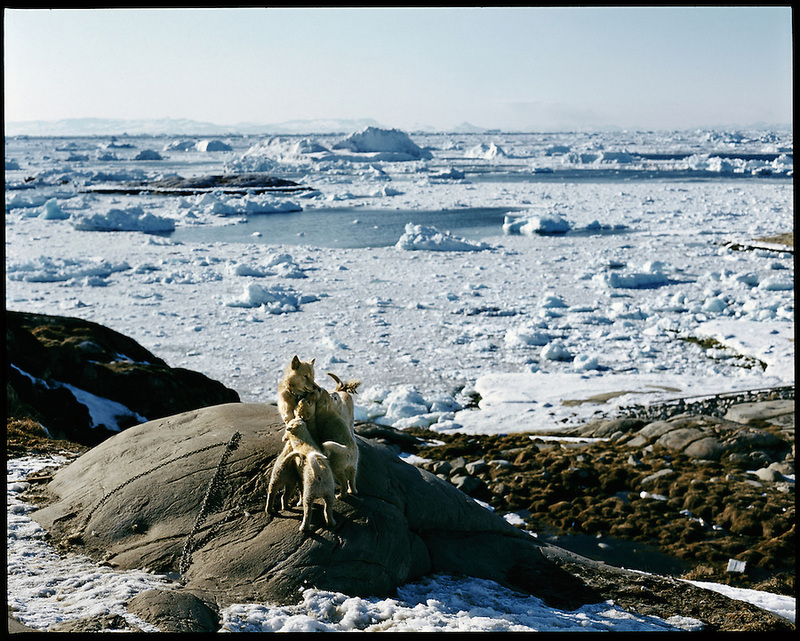 The Ilulissat Icefjord was declared a UNESCO World Heritage Site in 2004.